WITNESS SNAPPED PHOTO OF STRANGE OBJECT FROM GUARD TOWER. 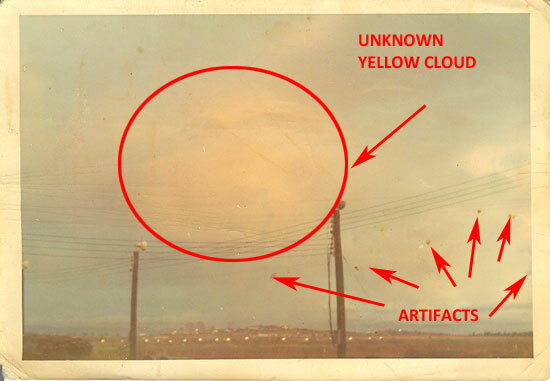 NOTE: The red dot “artifacts” in the photo are not relevant and are probably the result of the age of photo. This fact was confirmed with the witness. This entry was posted in 1989 and earlier, Alleged Communication with EBE, circular, Close Encounter, Foreign Country, Photos, silent, Unidentified, Xfiles. Bookmark the permalink.